The Volvo XC40 small SUV has been named the 2018 European Car of the Year. It is the first win of this prestigious award for Volvo Cars, the Swedish premium car maker. The XC40 sets a new standard in its segment in terms of design, connectivity and safety technology. Early orders in excess of 20,000 cars across Europe and the US indicate that this is an appealing combination for customers. Safety and driver assistance features on the XC40 include Volvo Cars’ Pilot Assist system, City Safety, Run-off Road protection and mitigation, Cross Traffic alert with brake support and the 360-degree Camera that helps drivers maneuver their car into tight parking spaces. In 2017, the company announced its commitment to electrify all Volvo Cars launched from 2019. 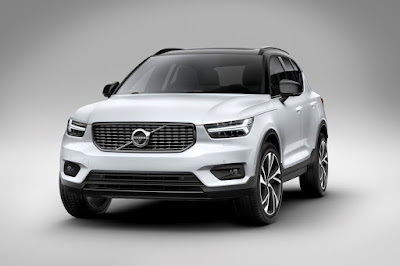 In line with this leadership position in electrification, a hybridized as well as a pure electric powertrain option for the XC40 will be added later. The 2018 Volvo XC40 is poised to make its Philippine debut in April.